Yeah i know i could have informed those who only check out this site about SSBB but i was to busy playing it and finishing up The Brawl Arena updates.I should be able to help out more now. Well Nayru is having Computer Problems and can't update anything for you right now but don't worry she'll be back.Just give her time to see what all is going on and she will tell you the rest once it is fixed.I will however tell you her Wireless Connection was messed up so she could not get into any sites or nothing.A Quote from her over an AIM Session i am having with her right now: "I do have content for Phantom Hourglass I wanted to add." So don't worry she has not forgotten about you.Heck after all this Super Smash Bros. stuff is over and TBA is less and less busy i will be able to help out here a bit more for when she's busy. Hello! How is everyone doing? I have been pretty good. Sorry long time no update personal issues got in the way. 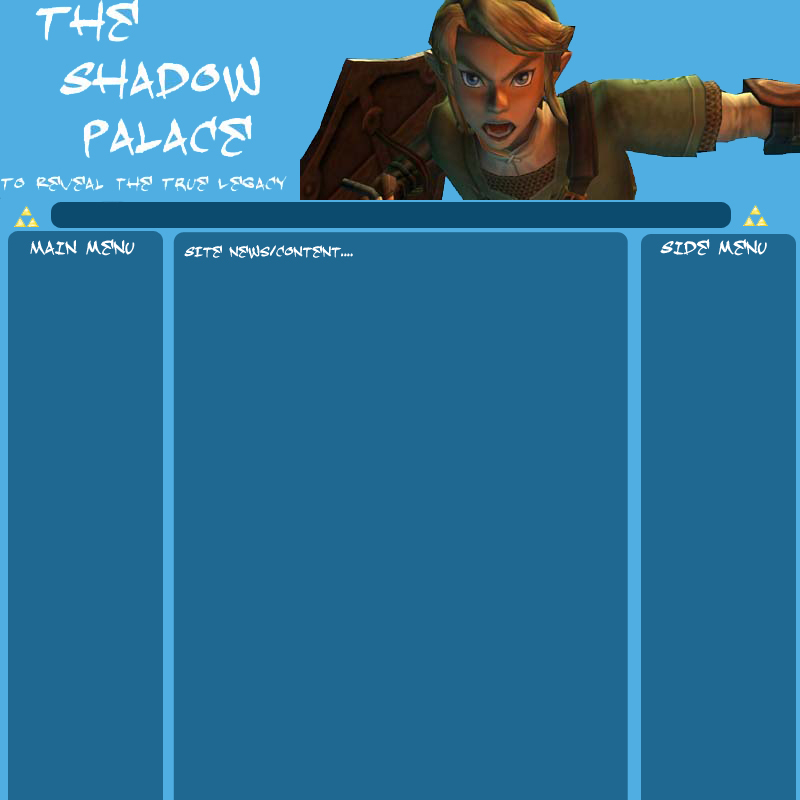 Anyways there is a new affiliate calle JMAP productions blog/Zelda Valley be sure to give them a visit!